At the starting line of the race this year, I looked around and was amazed to see such an eclectic mix of so many different people. The serious runners fiddling on their running watches trying to locate satellite, the ‘fun run’ gang who kept promising each other that they’d stick together and not go too fast, the moms with prams already feeding kids with sticky snacks, and the walkers with headphones and backpacks full of …stuff (I never know what they’ve got in there). In that huge crowd of what must have been over 2 000 runners and walkers, the ages ranged from as young as 5 years old to over 85 years. It reminded me that running is truly a sport for everyone. 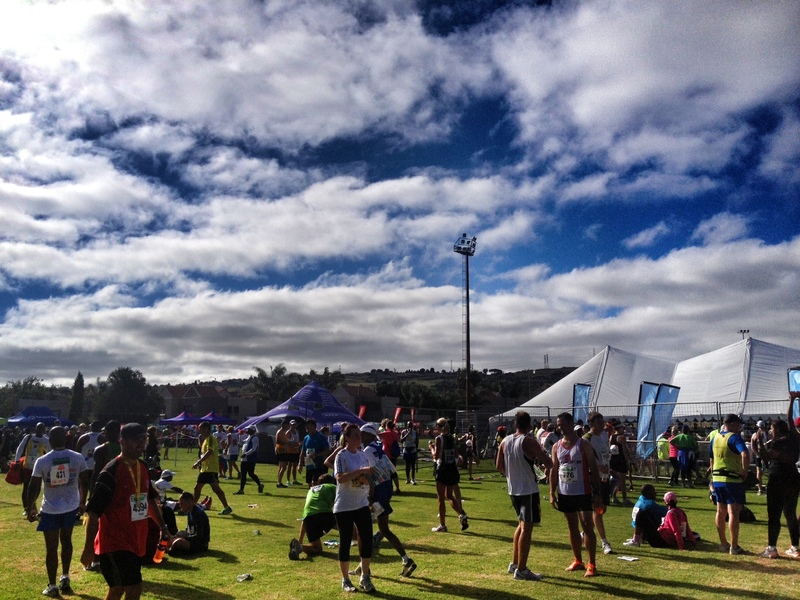 To say you’re a runner doesn’t necessarily mean you do the Comrades every year. Often, running means just putting on your running shoes and getting out there, enjoying yourself with other runners, regardless of the distance. Everyone can do it! This entry was posted in My Races, My Running and tagged all ages, Bedfordview, Dischem 21.1km, Dischem 5km, Dischem Rehidrat 5km, everyone, runners, running by Bo. Bookmark the permalink. Well done in getting started on your running for the year. 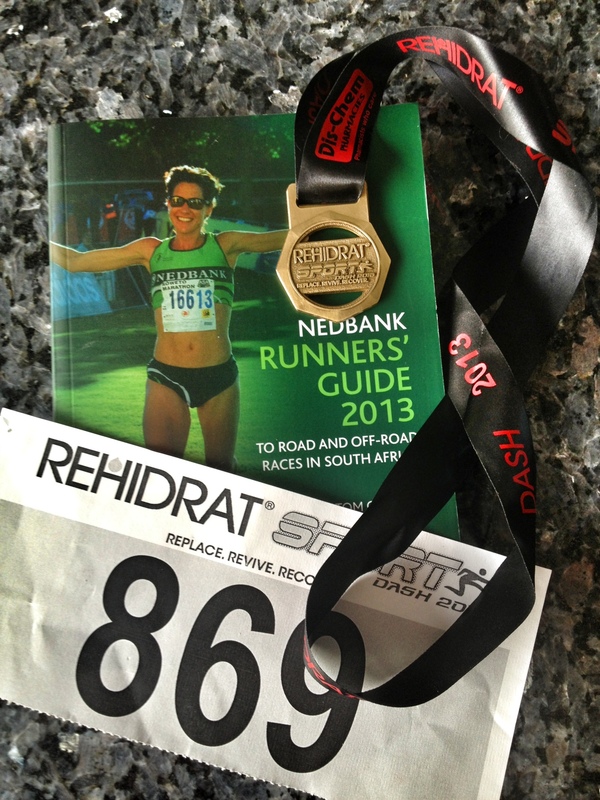 Mine officially starts in almost exact a month from now at the Randburg Valentines 10km Night Race. It’ll be the first time doing that race, have only heard great things about it. No ways!! The Valentines night race was my very first race ever!! It’s the best race to start with because the vibe is so fantastic and so much fun! I’ll see you there!!! 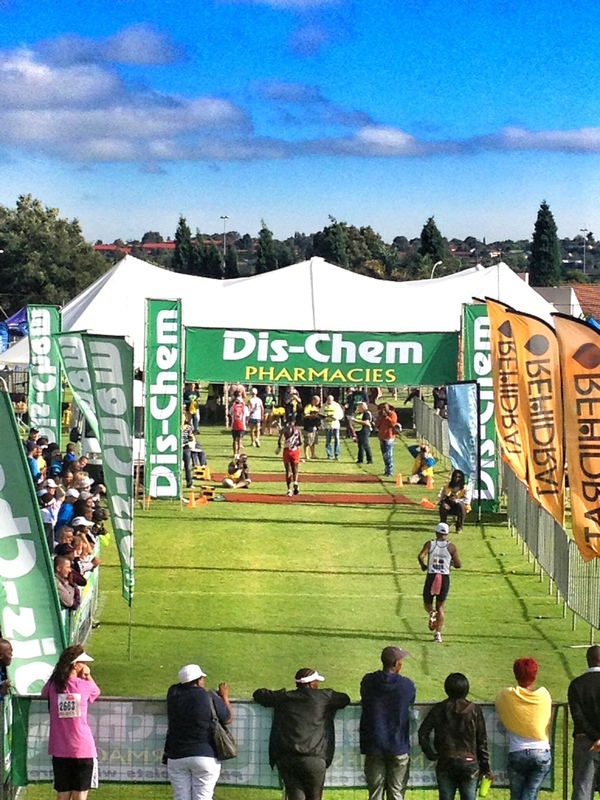 Well done on your first race for 2013. May all the rest be as much fun. Congratulations on completing your first race of the year. Lol! Ok so now I know! Well done on starting you race calander.